Beginning to Intermediate Hockey Training & Games for All Ages. 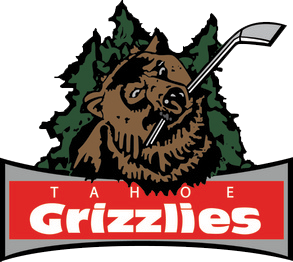 Travel Youth Hockey South Tahoe Amateur Hockey Association (STAHA) was created to promote youth hockey in the South Lake Tahoe area and present the Tahoe Grizzlies. STAHA now has three teams competing in the Northern California (NORCAL) traveling ice hockey league. Tryouts are required for Squirts, Peewees, and Bantams competing in the NORCAL league. Mites, 8 years and younger, do not require tryouts. Please visit the STAHA website for more information. Future Stars is an in-house hockey program for any youth who wants learn the game of hockey or further enable his or her skills. Our professional coaches are dedicated to developing great youth players of all ability levels. Future Stars is usually scheduled during the school year for Mondays from 4:30 to 5:30, but is subject to interruptions. Always check the arena schedule before heading over. Fees and Fine Print $5 for each Future Stars class includes loaner gear while supplies last. All participants must complete a Future Stars Registration and Skater Waiver prior to their first session and will be required to sign in at the front desk. Minors must be signed in by a parent or guardian at each session. Independent skating is a prerequisite. Stick time is a no-pressure environment that is ideal for all ages. These nonscrimmage sessions are offered weekly for players at any level to work on their individual skills – skating, puck handling, and shooting. Helmet and gloves are required for adults. Full gear is recommended for adults and required for minors under 18 years of age. Check the ice schedule for Stick Time availability. Fees and Fine Print Each session costs $12. All participants must complete a liability waiver, please select adult or minor, prior to their first session and will be required to sign in at the front desk. Minors must be signed in by a parent or guardian at each session.